A second-generation redesign makes the new Audi R8 V10 even more performance orientated than ever before. 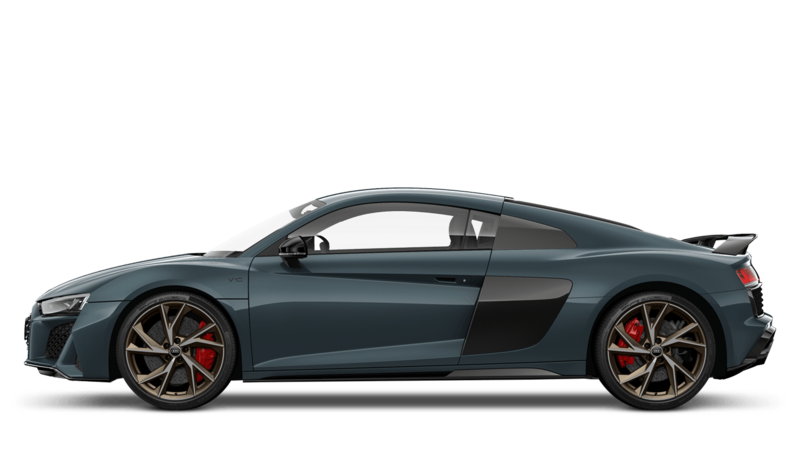 With at least 540PS, the R8 V10’s exterior complements its ferocious power, all contained within an evolutionary R8 body. Its prestigious interior design and innovative technology come together to produce an exceptional sports car. Handcrafted using exclusive materials, you can rest assured that the R8 is made to extraordinarily high-quality. 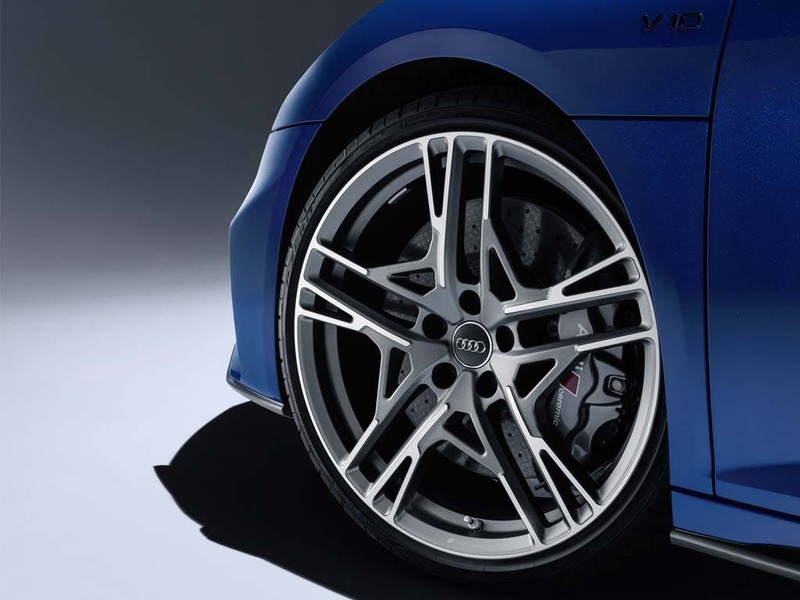 Test drive the new Audi RS V10 at your local Audi centre in Essex, Hertfordshire and London. Every detail matters, view the Audi R8 Coupé technical specification. Download the latest R8 Coupé brochure. A world class super-sports car paired with a flawless interior, the new Audi R8 V10 is sublime. 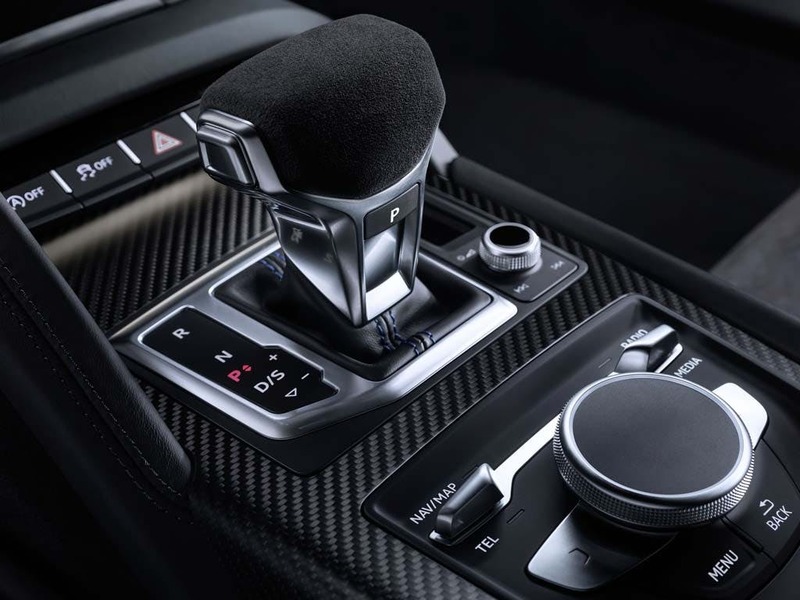 Fortunately, the majestic interior of the new Audi R8 V10 doesn’t fail to impress with only the finest materials used throughout. The driver-oriented, multi-functional steering wheel comes with mounted controls for ease of use, whilst the driver is fully supported in the new sport driving seat with an integrated headrest. Anthracite inlays and door sill trims with aluminium inlays add to the overall interior aesthetic. Inject R8 DNA into your journey with the new Audi R8 V10. 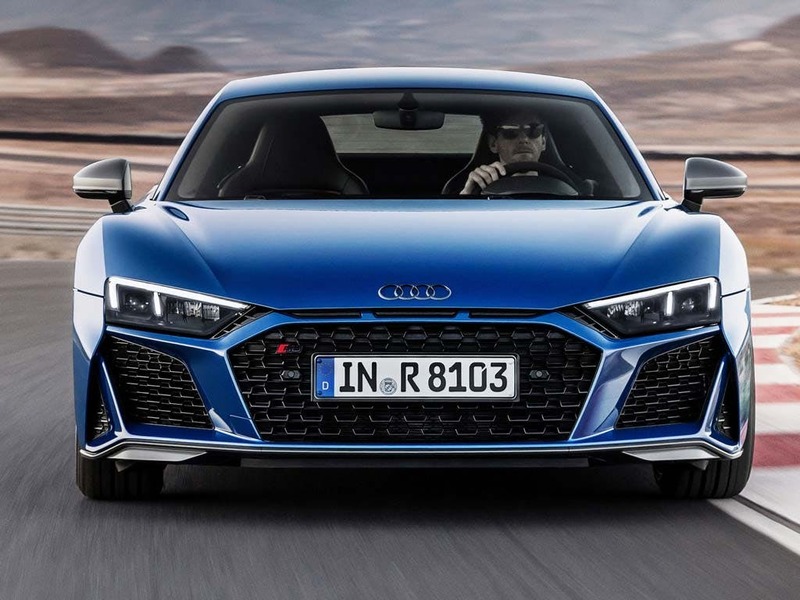 Futuristic features take the exterior of the new Audi R8 V10 to the top of the motoring world. With athletic supercar lines and a sleek, streamlined silhouette, the new Audi R8 V10 is more than just any old sports car. Its honeycomb grille adds an aggressive streak to the athletic body that any sports car fan would dream of. The smooth lines and low body suggest a smooth driving prowess just waiting to come alive. With a retractable rear spoiler that automatically extends at 75mph, the new Audi R8 V10 is ready and waiting for action. 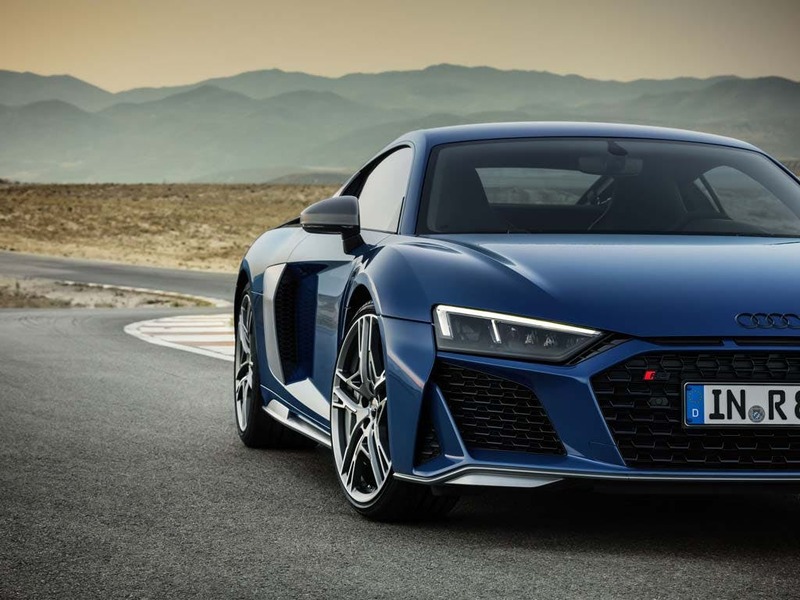 It may look exceptional, but the main attraction of the new Audi R8 V10 its performance. The stunning sporty appearance is reinforced by the flawless Audi engine sitting at the rear of the car, packing enough power to stand out no matter where you go. 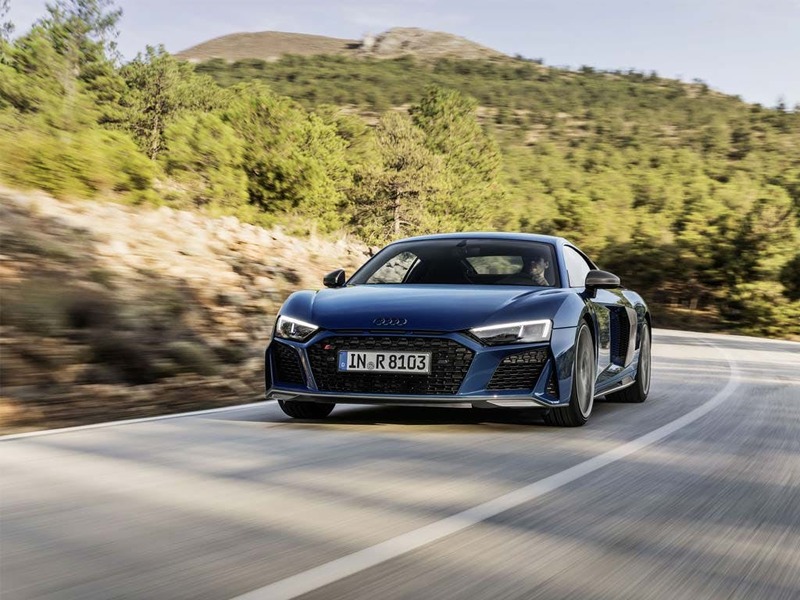 Putting the latest version of Audi’s ten-cylinder engine to good use, the new Audi R8 V10 can produce 533bhp of power and peak at 540Nm of torque. Achieving an exhilarating 0-62mph in as little as 3.5 seconds, the R8 V10 can reach a top speed of 200mph, and it sounds great all the way. 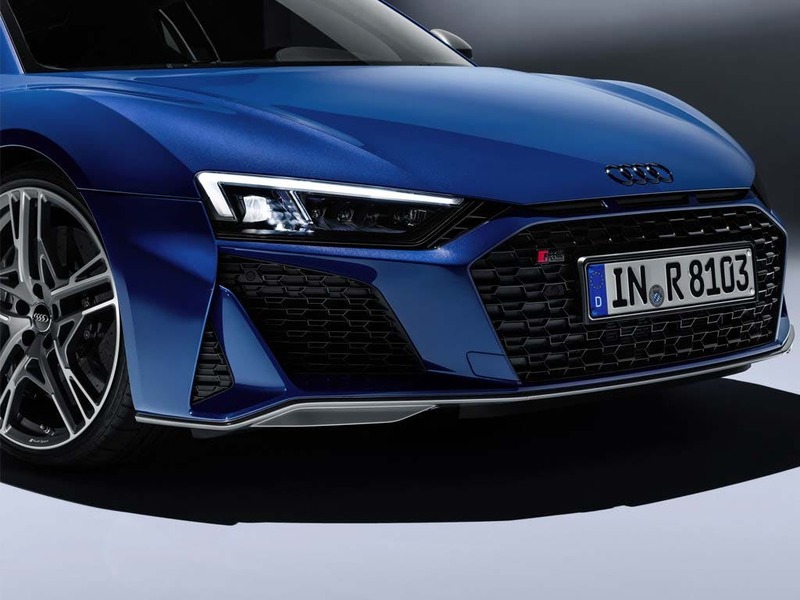 The cutting-edge technology inside all Audi models never fails to impress, and with the high expectations of the new Audi R8 V10, the technology is even more advanced. The Audi Virtual Cockpit with a 12.3-inch display screen is one of Audi’s newest technological advancements. Featuring navigation, driving stats and Audi connect, you can stay connected with the rest of the world with the touch of a finger. 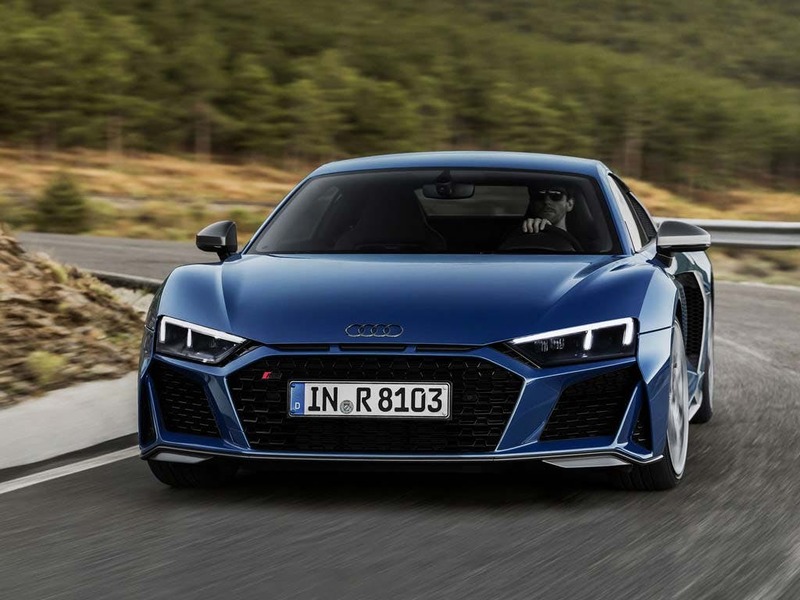 Experience the pleasure of driving the supercar that is the new Audi R8 V10. Discover the hidden power of the new Audi R8 V10. Visit your nearest Audi dealership in Colchester, Chelmsford, Chingford, Finchley Road, Harold Wood, Hatfield, Stansted, Southend, Whetstone and Watford for a test drive. 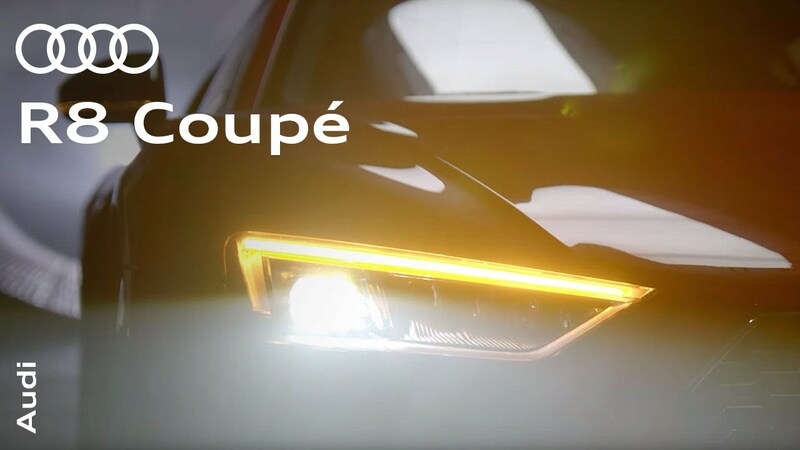 Explore the R8 Coupé specifications.